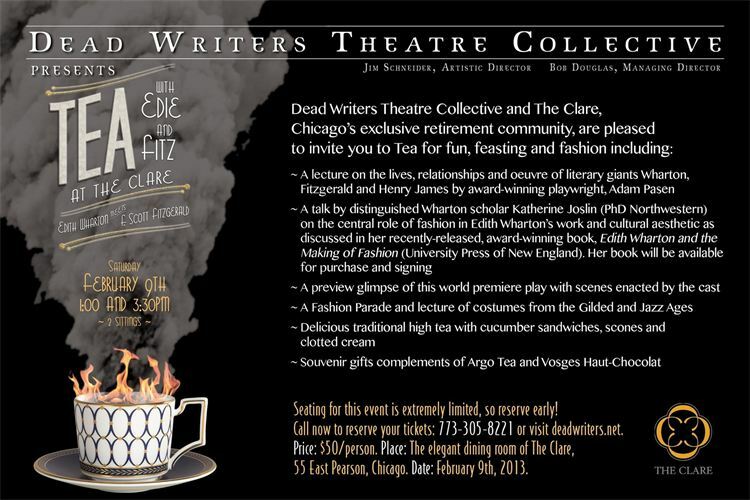 “Tea With Edie & Fitz” at The Clare! Join Edith Wharton, F. Scott Fitzgerald, Zelda and The Ghost of Henry James for biting wit, revelations and confrontations over high tea at Chicago’s most exclusive and beautiful 53-story high rise retirement residence The Clare. Re-knowned Edith Wharton scholar and Professor from the University of Western Michigan, Katherine Joslin will preside and share insights on Wharton and her relationship to and impact on fashion from her new book Edith Wharton and The Making of Fashion. Scenes from Chicago Kennedy Center award-winning playwright Adam Pasen’s play Tea With Edie & Fitz will be performed by the cast of Dead Writers Theatre Collective for the upcoming professional world premiere of the play at The Greenhouse Theater in April, 2013. 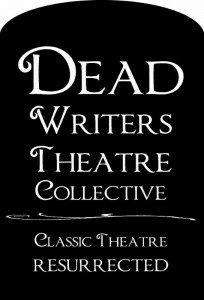 You may make reservations online or call Dead Writers Theatre Collective at 773-305-8221.